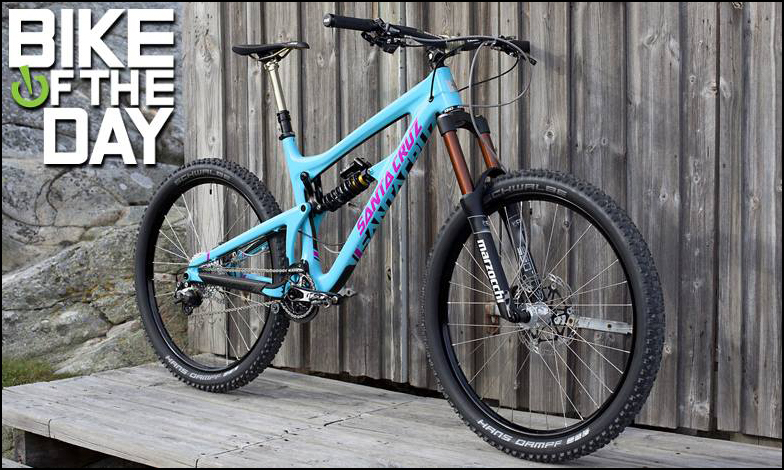 Santa Cruz Nomad 2015 - Hillside Cycling Enduro Edition - Bike of the Day! We did it again! The 5th of May we got our third "Bike of the Day" at Vital MTB. This custom built Santa Cruz Nomad was built with love and passion for the sport of mountain biking. The parts are chosen for hard Enduro and tough All Mountain riding. Everything we do - we do with perfection. Enjoy all the large detailed photos of the Santa Cruz Nomad at our Custom Builds section.